The United States Senate declared March the National Deep Vein Thrombosis (DVT) Awareness month in 2005 after the epidemic of deep vein thrombosis and complications of venous thromboembolism (VTE) were formally identified. High profile cases, including NBC news correspondent David Bloom, have fallen victim to this often unexpected condition. The scope of the problem is dramatic, as it is estimated that one in every 20 persons will be affected by DVT in their lifetime. More than 500,000 cases of DVT or pulmonary embolus and more than 100,000 deaths are reported each year.1 DVT-related pulmonary embolus is the most common cause of preventable hospital death and takes more lives than breast cancer and AIDS combined.2 The epidemic may come as a surprise to many, yet it is clear that the risks for developing VTE are rising. Compression is a proven technique for supporting the venous system in both the preventive setting and during acute and post thrombosis care.3 Therapeutic compression elevates deep venous flow rates by exerting pressure to compress superficial veins. This external force creates more efficient flow to the deep system, directly combating venous stasis. Despite established indications, it is widely underutilized in all settings of VTE due a substantial education gap among providers of all types. Because the first clot may prove deadly, preventive efforts are critical. The standard of care has shifted, and the focus on VTE mandates a thorough understanding of therapies to minimize this life and limb threatening complication. Once venous obstruction develops, extensive changes are seen in the venous and lymphatic circulation. Surviving the first bout of thrombus is merely the first clinical objective, while a second is to actively restore normal venous circulation. In patients with chronic obstruction or with ongoing deep vein reflux, post-thrombotic syndrome commonly develops.6 Post-thrombotic syndrome represents a challenge in management, as lymphatic and venous pressures lead to the chronically swollen limb, often complicated by ulceration near the ankle. Developing a deep vein thrombosis involves a complex set of circumstances, though Virchow’s triad of venous stasis, injury, and hypercoagulable states remain the classic triggers.7 Examples of stasis beyond the post-surgical arena involve persons with occupations requiring prolonged sitting or standing. In rare instances, on-line gamers have succumbed to pulmonary emboli after sitting at a computer screen for hours on end. Stasis is a common trigger, but it is not the sole contributor. Part of the growing incidence of VTE may be attributed to obesity in America, which some have reported to increase risk two- to threefold compared to a normal weight person with the same additional risk factors for DVT.8 As the prevalence of obesity permeates our society, is it any wonder that the rate of VTE is rising? Hypercoagulable conditions may be acquired or genetic. Predispositions for obesity or malignancy represent the most common acquired causes. The utility of compression therapy comes from precisely measured external force applied to an extremity. The influence of a stocking should be sufficient to compress superficial varicosities, minimizing the effects of unabated tissue pressure from sustained reflux and gravitational influences.9 When properly applied, normal and diseased veins benefit from the protective effect of improved deep venous flow. Traditional thoughts of compression bring to mind images of leg wraps and heavy compression stockings. Concerns about donning the stockings, or that the stockings will be too tight and hot, are no longer fair labels with the options available today. Garments are currently made in a wide variety of colors and materials, and donning has never been easier. Prevention begins by recognizing potential risk for venous thromboembolism and promoting venous health. As mentioned, compression therapy is an underutilized preventive tool in limiting the risk of DVT and symptoms related to venous hypertension. Given increasing numbers of patients presenting with life threatening blood clots, pre-emptive use of compression therapy simply makes sense. Occupations involving sitting are as evil to the venous system as those with prolonged standing. Despite the amount of walking between clinic patients and operating suites, the majority of a healthcare provider’s time at work is spent standing or sitting. Providers of lower extremity care have the opportunity to champion venous health by setting an example in their practice; simply wearing properly fitted compression to promote the practitioners’ own personal vein health sends a solid message to routine patients in need. Proven methods to minimize the risk of VTE involve a combination of anticoagulation, ambulation, and compression therapy.10,11 Validated risk scoring systems help identify VTE risk for inpatient and outpatient surgery populations. A recent study reported that more than 40% of VTE cases in the hospital might have been prevented had DVT risk been assessed and proper measures applied.12 Patients receiving lower extremity surgeries pose special risk for VTE.4 The Centers for Medicare and Medicaid Services have identified ‘Never Events’ tied to DVT following total knee or total hip replacement. How long will it be before ‘Never Events’ for DVT are tied to all surgical procedures involving immobilization of the lower extremities? The importance of VTE prevention in the lower extremity surgeries is obvious, yet it is overlooked at many institutions and outpatient surgical centers. Complicating the issue, patients may be immobilized or non-weight bearing, limiting the potential for ambulation to minimize the risk of DVT. Compression therapy using compression stockings may help reduce the risk of deep vein thrombosis and post-operative swelling, and its practicality is rarely limited by the surgical procedure. Today’s compression stockings may look like calf high socks or stylish stockings worn with women’s formal wear. The key to compression is finding the right fit, allowing optimal patient compliance. The strength, the duration of wear, and the height of the stocking depend on individual patient needs. Anti-thromboembolism stockings are commonly used for bedridden patients, but are by no means indicated for ambulatory patients. Patients possessing arthritic hands may benefit from assistive devices to facilitate stocking application. Any time a patient is found at risk for VTE, compression therapy is indicated. A general rule of thumb is to apply a 20-to-30 mmHg strength for post-surgical prevention, while reserving the 30 to 40 mmHg level for the swollen limb or for patients with higher preoperative risk. The standard of care has changed for managing acute deep vein thrombosis. 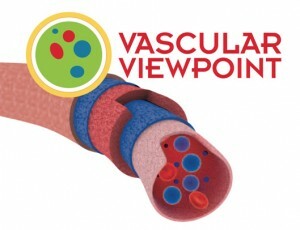 The American College of Chest Physicians (ACCP) provides evidence-based guidelines for the standard of care for patients with acute VTE.13 Objectives in the early management of deep vein thrombosis are directed toward halting the progression of thrombus while minimizing further complications related to the event. Anticoagulation using low molecular weight heparin (LMWH) or Factor X inhibitors, followed by a transition to warfarin, is recommended unless contraindications for treatment exist. The extent and duration of anticoagulation are dependent on historical and diagnostic features. Compression therapy not only helps to limit the risk of complications related to deep vein thrombosis, it has been shown to reduce the incidence of post-thrombotic syndrome by 50%.3 The Grade 1A evidence shared in the ACCP guidelines supports the use of a compression stocking 30-to-40 mmHg applied as soon as feasible after starting anticoagulation therapy. Compression should be continued for a minimum of two years, and longer should signs and symptoms of post-thrombotic syndrome develop. Randomized trials have shown ambulation to be superior to bed rest in the setting of acute DVT.14 Inactivity or immobilization is a medium for thrombus extension and risk for VTE. Patients are encouraged to be ambulatory immediately following anticoagulation and application of compression stockings or wrap. ACCP has declared ambulation during acute DVT as a Grade 1A recommendation. Compression therapy possesses a unique position of value in both prevention of VTE and in the acute and chronic treatment phases. At a time when accountable care organizations (ACOs) are struggling to provide efficient services while minimizing complications, VTE management is an area of high priority and opportunity. The threat of limb- and life-threatening VTE is increasing, and efforts toward prevention by routine application of compression and early ambulation when feasible will go a long way toward reducing thrombosis risk, while promoting venous health. Marlin W. Schul, MD, MBA, RVT, is a dedicated vein specialist at the Lafayette Regional Vein Center in Lafayette, IN. 1 Galson SK. The Surgeon General’s call to action to prevent deep vein thrombosis and pulmonary embolism, 2008. Available at: www.surgeongeneral.gov/topics/deepvein/ Accessed February 28, 2011. 2. Wakefield TW, Henke PK. Acute venous thrombosis: pathogenesis and evolution. In: Gloviczki P, ed. Handbook of venous disorders. 3rd ed. London: Hodder Arnold;2008:83-93. 3. Prandoni P, Lensing AW, Prins MH, et al. Below-knee elastic compression stockings to prevent the post-thrombotic syndrome: a randomized, controlled trial. Ann Intern Med 2004;141(4):249-256. 4. Meissner MH, Moneta G, Burnand K, et al. The hemodynamics and diagnosis of venous disease. J Vasc Surg 2007;46(Suppl S):4S-24S. 5. Geerts WH, Pineo GF, Heit JA, et al. Prevention of venous thromboembolism: The seventh ACCP conference on antithrombotic and thrombolytic therapy. Chest 2004;126(Suppl. 3):338S-400S. 6. Kahn S, Shbaklo H, Shapiro S, et al. Effectiveness of compression stockings to prevent the post-thrombotic syndrome (the SOX Trial and Bio-SOX biomarker substudy): a randomized controlled trial. BMC Cardiovasc Disord 2007;7:21. 7. Virchow R. Neuer fall von todlicher emboli der kungerarteries. Arch Path Anat 1856;10:225. 8. Tsai AW, Cushman M, Rosamond WD, et al. Cardiovascular risk factors and venous thromboembolism incidence: the longitudinal investigation of thromboembolism etiology. Arch Intern Med 2002;162(10):1182-1189. 9. Ramelet AA. Compression therapy. Dermatol Surg 2002;28(1):6-10. 10. Amaragiri SV, Lees TA. Elastic compression stockings for the prevention of deep vein thrombosis. Cochrane Database Syst Rev 2000;(3):CD001484. 11. Gonzales Della Valle A, Serota AG, Go G, et al. Venous thromboembolism is rare with multimodal prophylaxis protocol after total hip arthroplasty. Clin Orthop Relat Res 2006;444:146-153. 12. Spyropoulos AC. Emerging strategies in the prevention of venous thromboembolism in hospitalized medical patients. Chest 2005;128(2):958-969. 13. Kearon C, Kahn SR, Agnelli G, et al. Antithrombotic therapy for venous thromboembolic disease. American College of Chest Physicians evidence-based clinical practice guidelines (8th edition). Chest 2008;133(6 Suppl):454S-545S. 14. Partsch H, Blattler W. Compression and walking vs. bed rest in the treatment of proximal deep venous thrombosis with low molecular weight heparin. J Vasc Surg 2000;32(5):861-869.